For proper Social Media Management (SMMs) in 2017, it’s almost required to have experience managing an Instagram page. 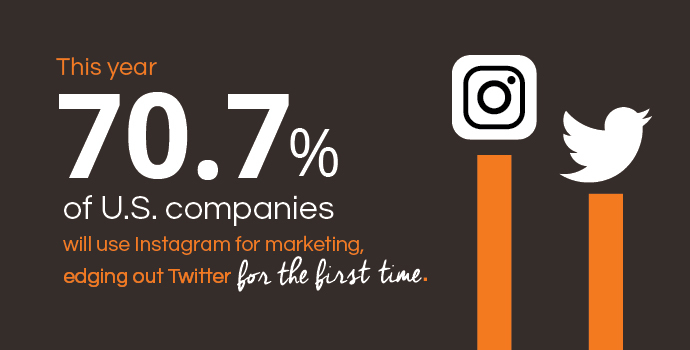 The platform has become essential to marketers, and more and more businesses are getting on board the Instagram wagon. Below are 4 tips I’ve found these to be quite helpful in prepping and launching a brand Instagram page. Before you plan anything, you need to study the brand you’re charged with promoting. When it comes to social media management, especially on Instagram, consistency is everything. The color scheme and voice of your posts should be in line with the objectives that were established as the brand was developed. What is the brand mission? The intended audience? The brand character? These factors will dictate how you present the brand on social media. One of our clients is launching a skincare line this summer. They defined their brand character as approachable, colorful, adventurous and energetic. Their intended audience is millennials. This was a great starting point for me; with this input and the product packaging, color, size, etc., I was able to confidently move forward with planning our social content. Backdrops can be anything from a printed poster board to a granite counter top, to a textured rug or blanket. It will help if you first determine what you want to exclude from your color scheme and content pool. If your products are bright white, avoid using white backgrounds. If your products are various bright colors, avoid colorful backdrops that will make your page look like too busy. Bonus tip: Draw inspiration from everywhere possible! You may drive by a bakery down the street and notice they have a cool brick wall outside; that’s a great photo-op for an edgy brand. Or, maybe your best friend has a bright blue painted wall in her apartment that would really make your products pop – snap some photos the next time you’re there. The possibilities are pretty much endless, and you should never stop testing. Apps like VSCO help you plan a cohesive Instagram feed. A budget specifically for social media props is something you should discuss with your team from the get-go. I have worked with some not-so-grand budgets before—i.e. $35 a month. You can make this work if you have to. Your reusable props. These are your go-to props like poster board, fabrics- essentially any and all backdrops. You’ll also reuse, though sporadically, themed items for holidays, like an American Flag for Fourth of July or heart confetti for Valentine’s Day. It could be lifestyle items, beauty products or office supplies. No matter what you’re selling, you will always have items you go back to. You’ll find that a lot of items can be found in your own home or the homes of your coworkers. Don’t be afraid to ask around, especially if you’re on a budget. Your spur-of-the-moment props. Oh, it’s national donut day? Pick up a dozen donuts on your way into the office for a charming post. There are hundreds of random holidays, and you should be making note of as many as possible. Why? Because they’re huge on social media. Plan ahead and determine which are applicable. Use them to create interactive content and make a connection with both your products and your brand mission. You may be surprised with social media trends or fun holidays that you want to participate in on-the-fly, like Get to Know Your Customer Day (the third Thursday of each quarter), National Corn on the Cob Day (June 11th) or Smile Power Day (June 15th), to name just a few. Did you know the first full week of June is National Gardening Week? You see my point. Having some petty cash for social media props helps you stay agile in your planning. Almost everyone has a smart phone nowadays, but – for example – the difference between an iPhone 5 and an iPhone 7 camera is significant. While I know it’s not easy to just pick up and buy a new $700 iPhone, it’s something you should mention to your team so at the very least they are aware that you could be taking photos with better resolution, contrast, lighting, etc. The quality of your visual content has an incredible impact on reach, engagement and sales. You can also use apps like Color Story for brightening and Snapseed (free!) to remove shadows. A SMM’s best friend is natural lighting and worst enemy is the flash of a camera. Unfortunately, not all days are sunny days. If you find yourself desperately needing to take photos at the drop of a hat (which you will), invest in an on-camera light. They can be expensive but the value is great. Be sure to keep quality lighting – and the possible phone upgrade mentioned above – in mind as you plan your budget, as they’re investments worth making. 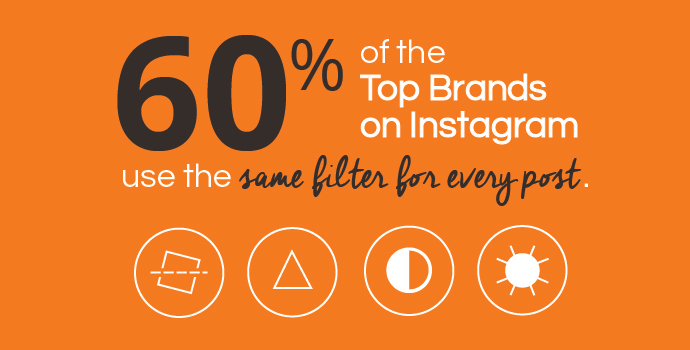 Small and medium-sized businesses: if you’re not using Instagram, you’re already behind. 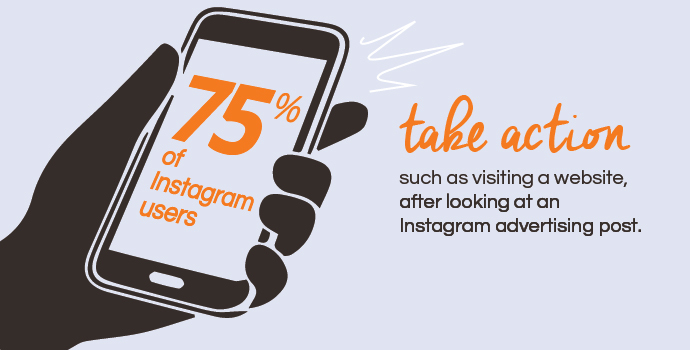 Don’t assume your audience isn’t on Instagram and that it therefore isn’t a good fit for you - while Instagram might not be worthwhile for allbusinesses, it’s important to get to know your digital audience so you can determine the facts. Share this information with your social media leader. It’s a great place to start. Social Media Managers: having weeks or months to prepare for a launch is a luxury. Use that time wisely. Plan and prepare. Study the brand, the team, the company and competitors. Looking to expand your social media presence? Want to invest in higher-quality and original visual content? Ridge Marketing is a full-service digital marketing agency with a growing social media management practice. P.S. - Be sure to download our free social media graphic and share with #RidgeMarketing!